Shrimp and local vegetables simmered in a delicious curry sauce served on a bed of pasta. 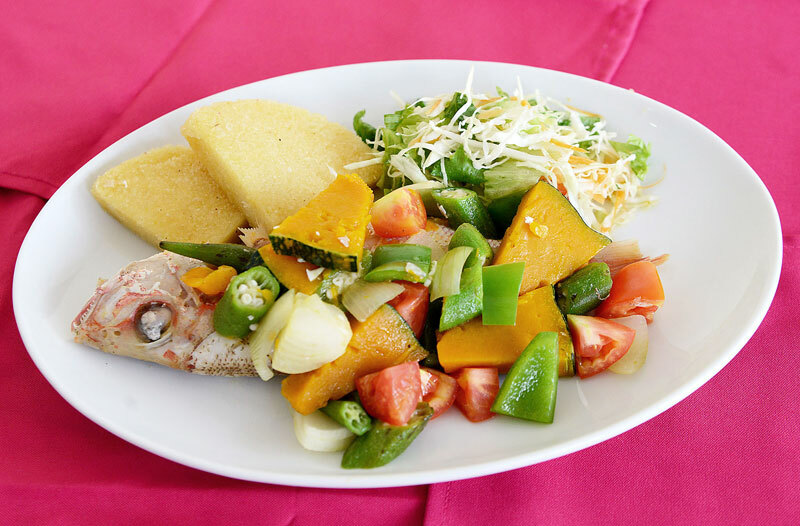 Whole fish steamed, curried, brown-stewed or escoveitched, made to please, served with bammy and festival. Creamy polenta seasoned to perfection. Local vegetables sauteed in light butter. Yummy cheesecake topped with cherries.